This term we are going to be learning all about SPACE! This is going to be a really exciting term where we will be developing lots of different skills. We will be learning all about different Astronauts and their adventures in space. We will be exploring what life is like in Space through role play and dramatization. 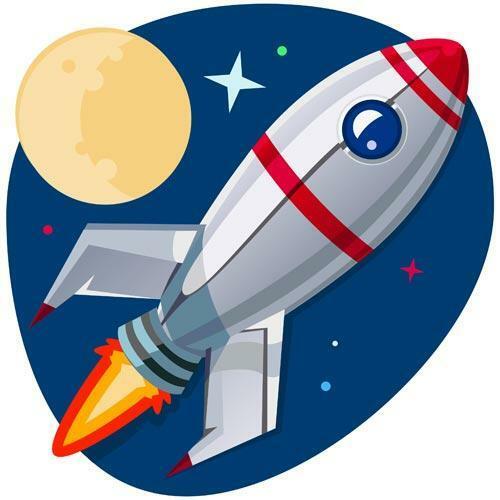 We will be looking at rockets, space shuttles and moon buggies in our Design Technology sessions, where we will become engineers, designing and building our own models for specific purposes. Can we complete the Secret Space Mission we will be set? We will use the knowledge we gain in science to help us, where we will be learning all about different materials and their properties. In art we will continue to explore materials, using different techniques and processes to create beautiful pieces of artwork based around Space. In geography we will be looking at aerial photos of Earth and other planets. We will use these to identify the main continents and oceans that make up our world. We will then develop our map skills further by creating maps of planets of our own design, and using compass directions to navigate around them.